Tariffs are subject to change without notice. When a booking has been confirmed by receipt of deposit, the tariff quoted will be honoured. Tariffs quoted are for up to 4 persons in a 2 Bedroom Apartment and up to 6 persons in a 3 Bedroom Apartment. All bookings require a deposit of 30% in Low/Mid/High seasons immediately to confirm your booking. If paying by direct credit a maximum of 24hrs applies for receipt of payment. A confirmation letter will be sent advising dates of reservation, number of people and balance payable. BALANCE PAYABLE ON ARRIVAL. Confirmation will be issued by email or by mail. General: No refund if cancelled on the day of travel or failing to check in. Low Season: No fee if cancelled 8 days or more prior to travel. Two nights cancellation fee if cancelled 7 days or less prior to travel. (A deposit of 30% is required when making a booking). No fee if cancelled more than 42 days prior to travel. Three nights cancellation fee if cancelled between 28 and 8 days prior to travel. NO REFUND if cancelled 7 days or less prior to travel. (A deposit of 30% (med and high) is required when making a booking). In all cases, a minimum administration charge of $50.00 will apply. Charges apply for additional persons. For bookings of 8 – 14 days, a service will be provided with a change of linen mid-way during your stay. For longer stays this service will be provided on a weekly basis. We accept Visa, Master card which incur a 1.5% surcharge and Amex which incurs a 3% surcharge. If BALANCE PAYABLE ON ARRIVAL is by either cash/EFTPOS you may be asked to provide a credit card authorisation or imprint when you check-in. This authorisation may be used to cover incidental items including but not limited to telephone charges, security bond or deposit for any breakages or damage incurred during your stay or cleaning charges in excess of the normal level of cleaning. Where a credit card is not available a minimum $200.00 cash deposit will be required on check-in. Upon departure your Apartment will be checked by a staff member before authorisation of return of monies. When you check-in you may be asked to provide photographic identification. 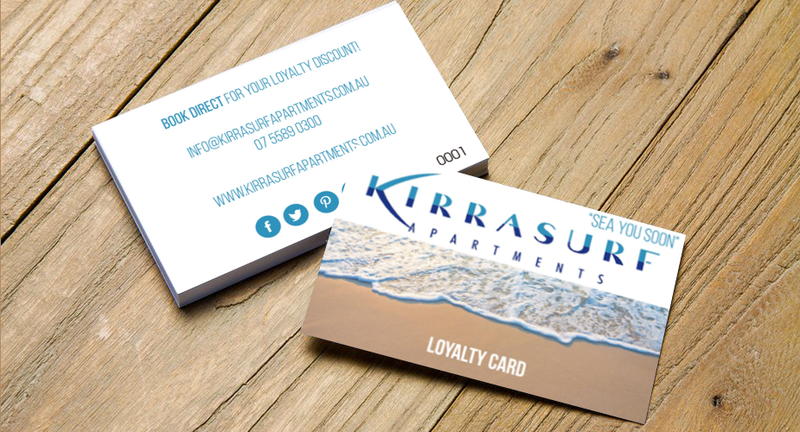 If you are unable to provide such identification your booking may be cancelled and you may be liable to pay Kirra Surf Apartments an amount equal to the full booking amount plus any other costs incurred in connection with the booking. If you do not show up for your booking or terminate your booking early after you have checked in you will be charged a 100% cancellation fee and will be required to pay the full amount of your booking less any amount which you have already paid. Thank you for considering to stay at Kirra Surf Apartments.